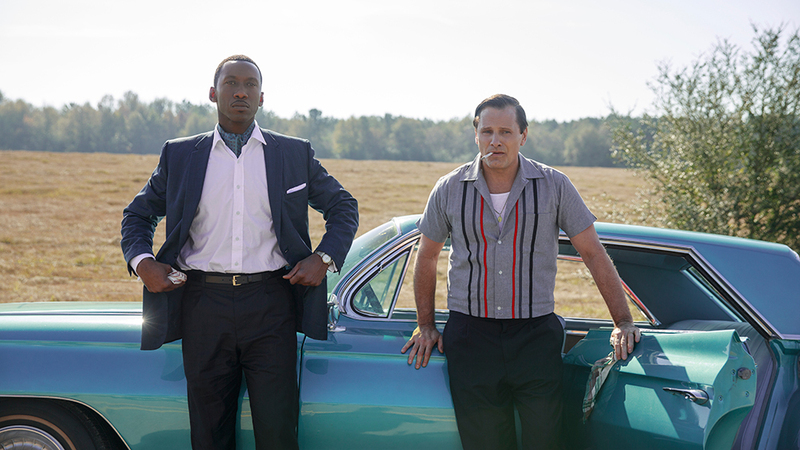 Green Book Review | Entertaining, and also a little pandering. "Green Book is the kind of solid crowd pleaser that has traditionally been Hollywood’s bread and butter. " "Pleasing the crowd is a good way to keep up attendances in an industry whose numbers have been flagging in the face of streaming services and peak TV." 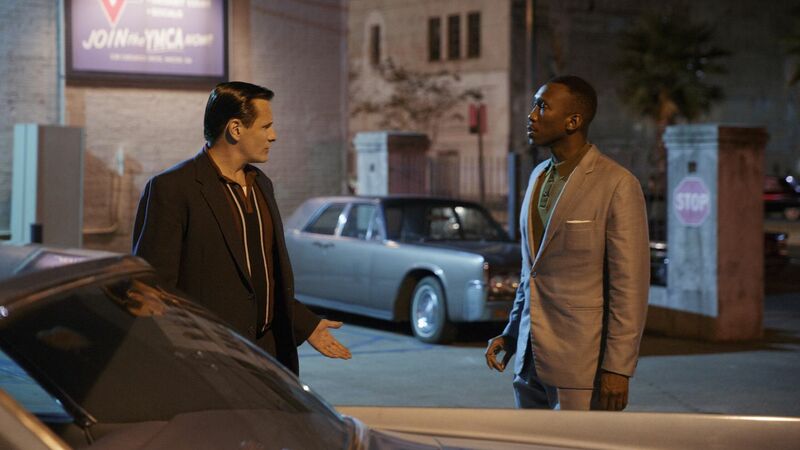 Green Book is the kind of solid crowd pleaser that has traditionally been Hollywood’s bread and butter. It’s got an odd couple central pairing. It’s got a road trip. It’s got a period set and period music. It’s got funny scenes and it’s got serious scenes. As a cherry on top, it’s based on a true story. And when viewers come out the other end, they’ve got at least a superficial sense of having gone on the journey to self-discovery the movie’s characters have gone on, of having learned something about the world that makes them more well-rounded members of society. Still, the temptation is to compare Green Book to another past Golden Globe and Oscar nominee with its share of detractors: Tate Taylor’s The Help. Although not to the same extent, it feels like the kind of movie that tries to solve racism through the personal growth of its white saviours. Just because it does this in a compelling and entertaining way doesn’t mean that it resolves that essential problem. The white saviour du jour is only saintly if you squint really, really hard. His name is Frank Vallelonga (Viggo Mortensen), but he goes by Tony Lip, an indication of his criminally adjacent life as a bouncer in a New Jersey nightclub in the early 1960s. He talks with both a mouth that always runs and fists that regularly fly, making him a problem solver by hook or by crook. It’s this special set of skills that puts him on the radar for a musician who needs a personal driver on his classical trio’s tour through the deep south. Tony’s available as his club is closed for renovations, and his family desperately needs the money. The thing is, the musician is black. Dr. Don Shirley (Mahershala Ali) interviews Tony in flowing African robes, which particularly surprises Tony because he thought he was being interviewed by a medical doctor. Don actually has a variety of musical doctorates and is one of the foremost concert pianists on the eastern seaboard, where he’s regularly feted by the intellectual elite of the northeast. But if he’s going to tour through the segregated south, where even his adoring audiences are not likely going to receive him as an equal, he’s going to need someone who knows how to handle problems. The cultures clash not only in the south, but in the Cadillac DeVille that gets them there. The interactions between Mortensen and Ali are indeed good grist for this mill. Much comedic mileage is derived from the collision between Don’s cultured book knowledge and Tony’s practical street smarts. In a provocative up-ending of a pernicious racial stereotype, for example, it’s Tony who has to teach Don about the merits of fried chicken, even how to eat it. Meanwhile, Don helps Tony write better letters to his wife (Linda Cardellini) back home. Over the course of the many tour stops, Don makes Tony less slovenly and Tony loosens Don up. All good, nothing too surprising here. Where the film insults our intelligence a bit is by softening Tony’s racism, or perhaps, choosing too extreme of a starting point to establish it, if it wants the film’s events to play out as they do. Before the two leads have met, there’s a scene where two African-American repairmen fix something at Tony’s house and his wife offers them drinks. Turning up his nose at the gesture, Tony later surreptitiously throws the two glasses in the bin. It takes a pretty racist guy to consider his glassware permanently tainted because it has touched the lips of a member of another race. Yet nothing close to this level of bigotry ever emanates from Tony again. Farrelly is so eager to get the audience on Tony’s side that he can’t risk any ambiguity about Tony’s core moral rectitude. Even though a gradual growth into enlightenment might make for a better payoff, Farrelly hurries Tony along toward white saviour status. There’s even another development regarding Don, which has nothing to do with his race, that would bias a guy like Tony against him, but Tony doesn’t bat an eyelash. The way Farrelly inserts 2018 progressive attitudes into 1964 is admirable, but a bit pandering. Don Shirley is a complete opposite in aspect to Juan, the drug dealer who won Ali an Oscar in Moonlight, which demonstrates the actor’s range. What’s more, though, is that there are numerous scenes here with Ali sitting at a piano, banging out the kind of virtuoso music for which Shirley was famous. Ali is not actually producing the music – credit for that goes to piano double Kris Bowers – but he’s convincing us that he might be, which is a credit to his commitment. More importantly, Ali brings the kind of agency to this character that lessens some of the film’s white saviour problems. The title is a reference to a guide that was once used by African-American motorists to help find southern hotels that would receive them instead of turning them away. The fact that such a thing was ever necessary should be a source of shame to Americans, and movies like Green Book are a useful reminder of the distance toward true equality that still remains to be travelled. Entertaining us a lot in the process is a bonus, while pandering to us a little is not a fatal detriment.